When I was growing up Thursday evening library visits were a particular treat. I had books at home but as I've always been an avid and speedy reader keeping up with me would have cost a fortune had they tried to buy all the books I wanted to read. Therefore the library happily filled that gap and I looked forward to going down and getting something new to read (although that said I was a ridiculously avid rereader at that point too). My local library is housed in this quirky little building and I loved it but somehow over the years I just stopped visiting. I suspect it was a mix of things that happened. Over the years of high school I don't remember reading much fiction at all. My English lessons weren't inspiring to make me want to read and I had no idea really what to read because YA didn't exist as such. I carried on through education and didn't have time to read fiction once I got to University and it wasn't until Twilight appeared and YA became a thing that I started reading again and I fell into the habit of buying huge amounts of books and then later getting them for review in vast enough quantities to feed my 200+ reads a year. Book blogging is changing and my reading tastes are changing. I am no longer getting the quantity of review copies through the door I once did as publishers are encouraging the use of netgalley more and more and ebooks are not for me. Also I'm getting more and more selective in what I take. There was a time where I would read anything sent to me but of late I'm reading pretty much exclusively contemporary and historical fiction. Heavens knows this isn't a bad thing as I'm not longer drowning in books that I feel like I need to read because I've had a review copy but probably wouldn't have requested or purchased for myself. Equally I'm reading more adult novels and as most of my lovely publishing contacts are for YA imprints I don't generally get those for review unless I pick them up via Amazon Vine. My solution over the last few years to feed my reading habit has been to buy copious amounts of books. I love buying books and I doubt that'll ever change but I am a thrifty soul at heart and of late I'm started to worry about the sheer amount of money I have invested in books that I've then given away because I'm now at the stage where I cannot store more books because my library is well past the overflowing state. I started to feel guilty about money put into those purchases especially when we have a mortgage to pay off and needed to do something about it. So two weeks ago I rejoined the library. 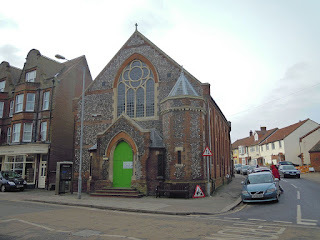 Cromer Library is reasonably small. It has a small YA section, a good sized children's book section, a crime section and adult fiction section and a non fiction section. I must admit because I read so much and I read so far in advance of publication dates I've struggled when it comes to browsing the shelves because much of what they have either doesn't interest me or I've already read it. However all is not lost. With my shiny new library card I can borrow anything that Norfolk libraries has in its catalogue. Therefore I have spent many a happy hour searching through the catalogue for titles that I've had on wishlists on goodreads or amazon or look through their new titles or hunting for things I've seen on twitter and putting in lots of reservations for books. In the past fortnight I've borrowed loads of books and have many more winging their way to me as and when they are available either because they are on loan to other people (return your books on time people) or they have been ordered by the library and not yet arrived to be loaned out. Yes it does mean at times I need to wait for titles and I have to get out of that headspace which I've been in of late where I've been smugly reading books as soon as possible before they are released or at least as soon as they are released and actually that's quite freeing and lifts pressure off immensely. It also means I can try books and save actual purchases for titles I adore and be more selective about how I spend my money. I've already borrowed, read and returned 12 books and have another 15 on reservation. I am taking real satisfaction in the amount of money using the library has saved me personally and utter joy in all the books I now have access to for free and get genuinely excited when I get that little notification to say something is ready and waiting for me to pick up. It's changing my daily routine and making me pop past the library after work a couple of times a week and a mini browse of the books always makes me calmer before I finally get home even if I don't pick anything else up other than my reservations. It's also making me be less fixated on my review books (which I still adore of course) because I'm mindful that my library books have to be read and returned by a certain date. I'm also thinking about making opportunities to get out and about round Norfolk and visit some of the other libraries locally including the one in Norwich which is huge for an afternoon of browsing and selecting more free books to read. In short I'm now back in love with my local library service and am very excited to see the potentially huge impact it has on my reading and spending habits. Good for you, libraries need our support.